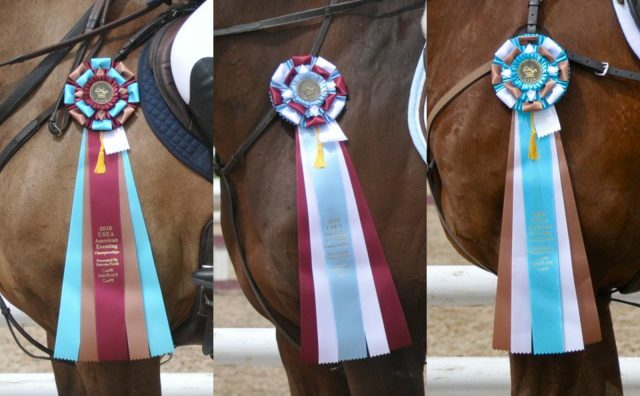 Reason #238 to attend the USEA American Eventing Championships presented by Nutrena: seriously pretty ribbons. Who even wants a boring old blue ribbon when you could have one of these … I don’t even know what places these are. You came, you saw, and you conquered, and now it’s time to show off the spoils of your AEC quest. Show us your ribbons, EN! Well done — congrats to all! Go Eventing.